[Satnews] International Launch Services (ILS) announces a multi-launch agreement with Eutelsat Communications of Paris, France—the missions will be launched within a seven year period from the Baikonur Cosmodrome in Kazakhstan. This Multi-Launch Agreement is designed to provide Eutelsat with additional schedule flexibility as well as assured access to space at cost effective prices. All of the satellites will be launched using the Proton Breeze M launch vehicle, manufactured by Khrunichev State Research and Production Space Center (Khrunichev), the majority owner of ILS. The Proton launch vehicle, in service for more than 50 years and 407 launches to date, is compatible with all major commercial spacecraft platforms for dedicated single or multiple launches. In addition to launching communications satellites, Proton has launched Russian interplanetary missions to the Moon, Venus, Mars, and Halley’s Comet. Proton also launched all Salyut- and Almaz-series manned space stations, the core segment, all modules for the Mir manned orbital station, as well as the Russian-built modules for today’s International Space Station. Under the auspices of ILS, there have been 91 ILS Proton missions launched for global commercial satellite operators. 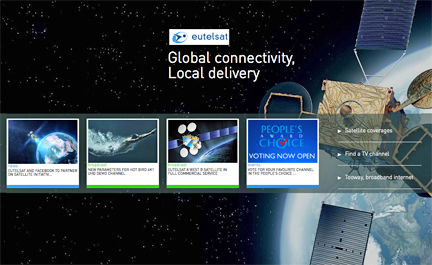 The first mission in the series assigned under the Multi-Launch Agreement is the EUTELSAT 9B satellite, built by Airbus Defense and Space, a high capacity Ku-band satellite based on the Eurostar E3000 platform. The satellite will serve high-growth TV digital TV markets across Europe and the Nordic/Baltic regions. EUTELSAT 9B will also host the first data relay payload for the European Data Relay Satellite System (EDRS) being implemented through a Public-Private Partnership (PPP) between Airbus and ESA. The satellites under the Multi-Launch Agreement will be launched between 2016 and 2023. “Launch diversity is of great value to satellite operators, and ILS Proton has long been a leader in commercial launch for over 20 years. 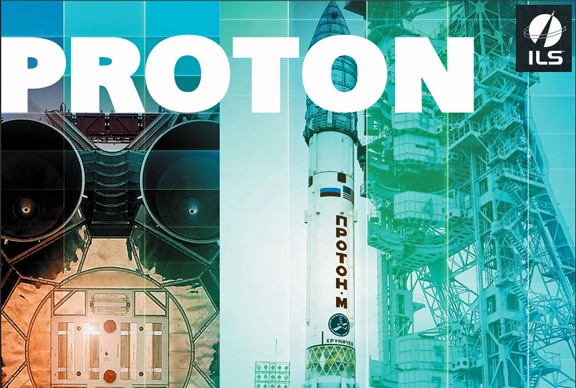 We are confident that the quality program under implementation by ILS and Khrunichev will return the reliability of Proton to the highest industry standards. This Multi-Launch agreement with ILS provides additional guarantee of timely access to space for Eutelsat over a seven year period and supports our long term expansion plans,” said Michel de Rosen, CEO of Eutelsat.